Controversial leader of the National Congress who took office as the 7th President of Sudan in 1989. 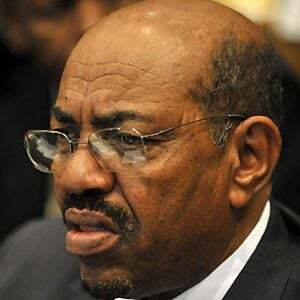 He has been charged with genocide war crimes by the ICC for targeting opposing Sudanese tribes. He reached the rank of Lieutenant General while fighting in the First and Second Sudanese Civil War. During his tenure as President he helped construct the Merowe Dam as well as five new bridges across the River Nile and many roads and highways. He has been married to Fatima Khalid and Widad Babiker Omer. He attempted to renew political ties with Libya after the fall of Muammar Gaddafi in 2012.